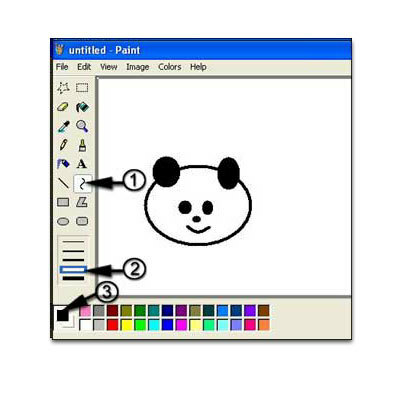 This is the first of a series of nine easy to follow lessons where you can learn to draw in MS Paint. We will start off with a Panda head and make a whole a bunch of them. 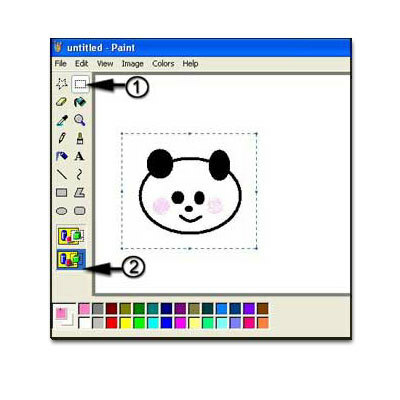 Select black as a foreground color and the ellipse tool. Make an elongated shape for the head. You can undo any mistake by pressing Ctrl Z or going to Edit/Undo in the Edit menu. Make ellipses for the ears, eyes and nose. Make a curved line for a smiley mouth. 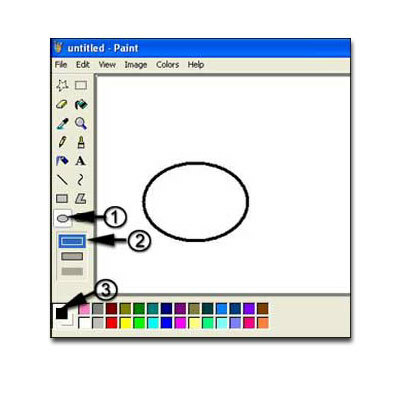 Making a curved line in MS Paint is a two part process. Select the curve line tool and thickness of stroke. Draw a line for the mouth. Now click underneath the line you just drew somewhere near the midway point. This click will give you the smiley curve. Select the airbrush tool and spray density. Click to make ruddy cheeks. Well done! Time to make a family of them! Choose the Select tool and transparent background function. Press Ctrl while click and dragging the selection. 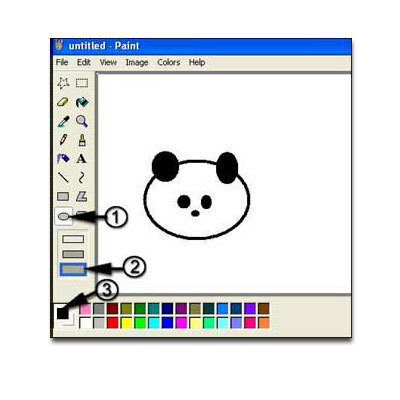 This will copy and move your Panda. Release the click when you have decided where you want the copy to be. Remember you can press Ctrl Z to undo a mistake. 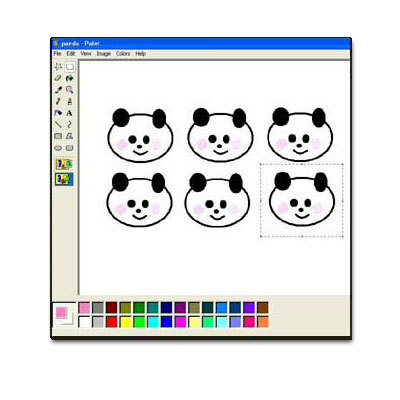 Make as many new Pandas as you wish. 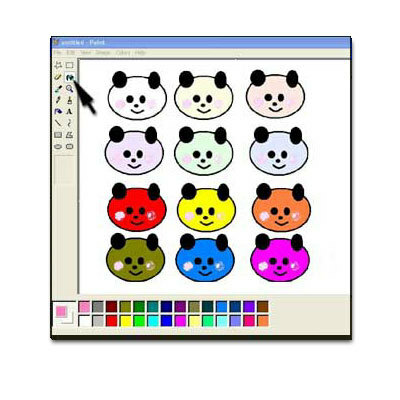 Time to color your Pandas. Choose the bucket (Fill with Color) tool. 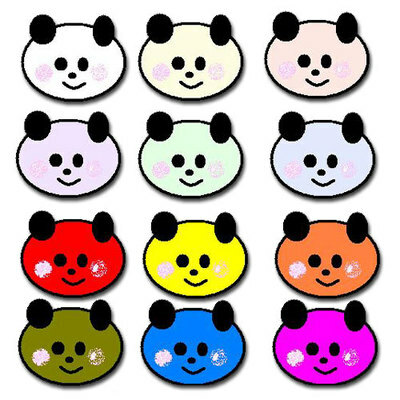 Select a color and click inside the Panda’s head.